On April 2-4 2015, I participate at the United States Quad Rugby Association (USQRA) National Championship tournament in Louisville, Kentucky. My competitive juice starts to flow as I head to this event. As I prepared for my 19th appearance, I was hoping to take away something more important than an award or a trophy. What I got instead was the reality that there is something bigger than this event, something that all people with a disability should experience at one time in their life. I have been playing wheelchair rugby since 1995, prior to that I did experience wheelchair basketball, which was where I developed chair skills, however, I was never going to be anything other than a 12 player off the bench. I would make the customary appearance in garbage time when we were either way behind or way ahead so that a team could not get back into it. I understood this. This is a competitive sport and everyone should play to their fullest extent. I didn’t accept being the 12th player on the bench but that is just the way it was. However, that was soon going to change. On September 1, 1995, I was invited by a co-worker to try out a sport called wheelchair rugby. I remember him saying “you might like it and be good at it.” I took to it like a fish takes to water. I very much enjoyed the speed, the physical contact and the overall make-up of the sport. I have also very much enjoyed the social aspect of having teammates. For the last 20 years, rugby has been for me an opportunity to experience and participate in physical fitness, competition, and socialization. This is something that not all people with disabilities get to do. We have 56 million people with disabilities in our country and only 45% participate in fitness opportunities. There are almost 6 million children and youth with disabilities and only 38% participate in physical fitness opportunities. The opportunities seem so far and few. These opportunities should be for everyone not just a few of us. This past January the Easter Collegiate Athletic Conference (ECAC), along with the NCAA, have developed a conference in which teams for people with disabilities can sign up and have competitive sport opportunities. More details are soon to come on this opportunity but the effort has been made and a fire has been lit to make people aware of the opportunities for people with disabilities. 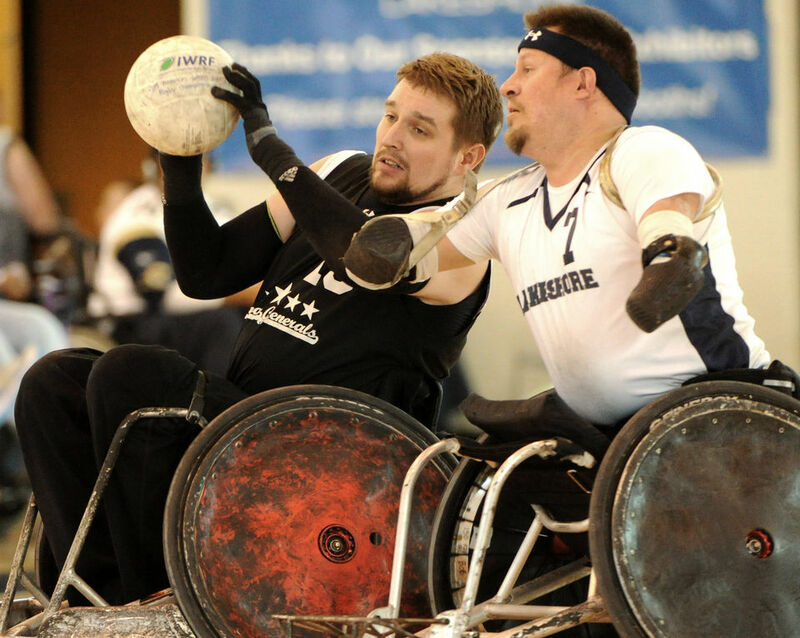 The big picture from an event such as Rugby Nationals in Louisville, Kentucky, is that the 550 men and women that play wheelchair rugby have this opportunity. There was a time in this country when no such opportunities were available. There was a time when this sport was not available. There was a time when attention to physical fitness and socialization were not embraced. At the end of the day, this is what all people with disabilities should experience. This is what all people with disabilities should want to experience. This is the time for a life experience that should never be missed. Maybe competitive sport is not for everyone, but physical fitness and socialization should be. What gets your juice flowing?